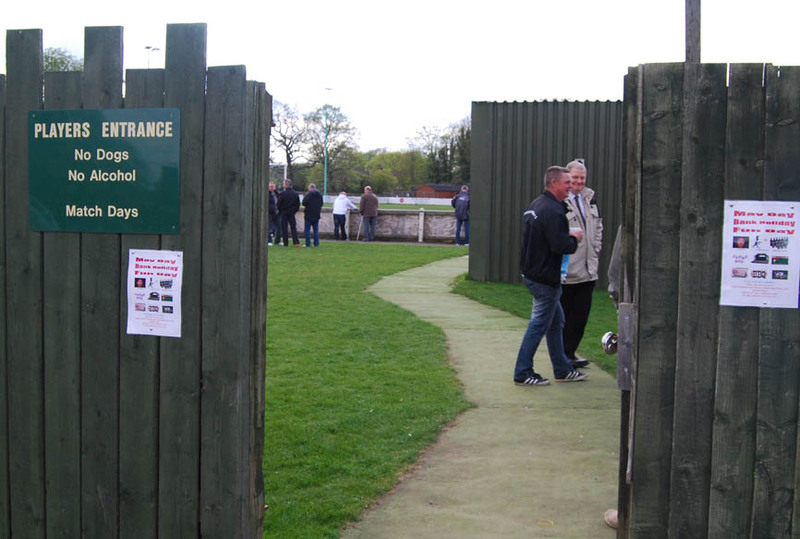 Pre-Match Build Up: For the final Saturday of the NCEL season, I was looking for a fixture which still had something riding on it and a ground I had never visited before. 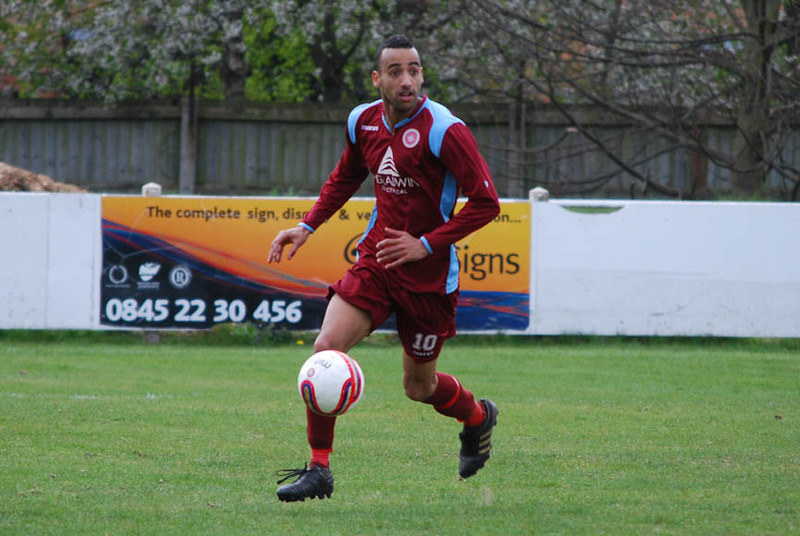 The only game that fuilfilled both requirements was at Lincoln Moorlands, with the visit of Retford being Lincoln’s last chance to finish outside the bottom two and be sure of avoiding relegation to Division One. 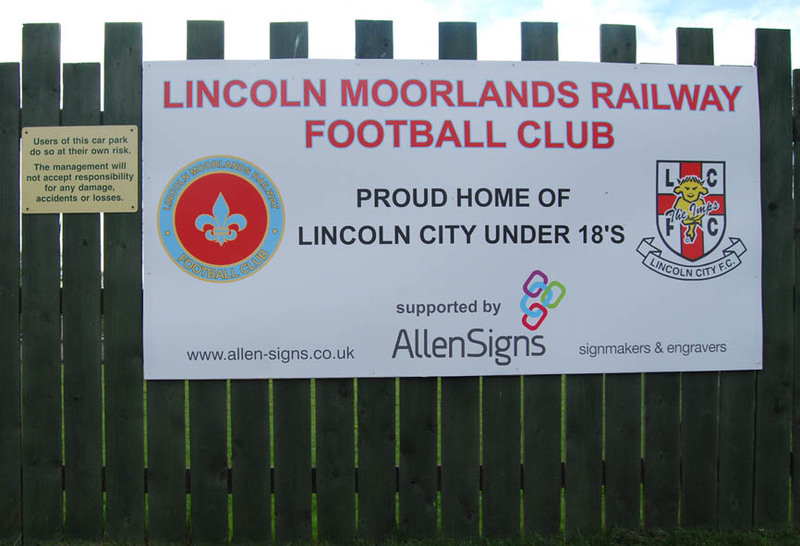 Off The Pitch: Formed just under 25 years ago in 1989 under the name Lincoln Moorlands, the club began life in the Central Midlands League. 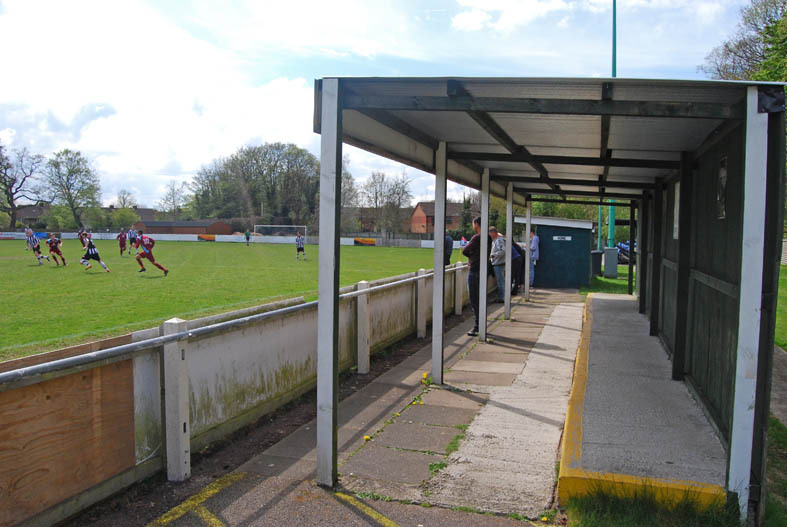 However, after three years here, the CML introduced stricter ground-grading regulations, meaning the Moorlands were forced to drop to the more local Lincolnshire Leagues for a few years, returning to the CML in 1998. 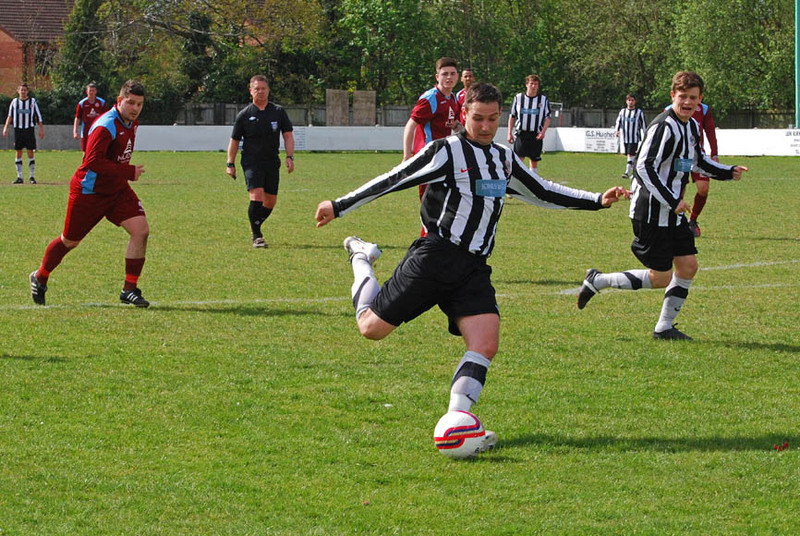 Having won the CML Premier Division (aka its second tier) at the first attempt, Moorands then followed this by winning the Suprme Division at the first time of asking in 1999-2000. 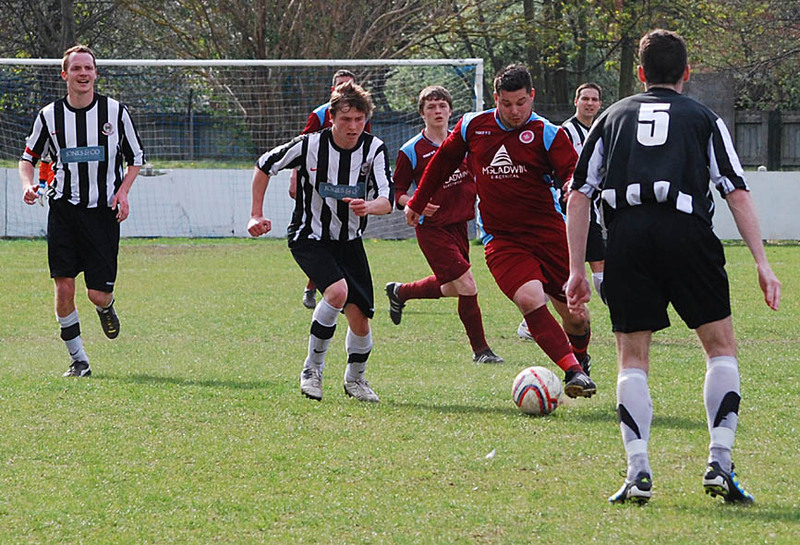 A runners-up slot teh following season coincided with them being accepted into the Northern Counties East League, being promoted from its Division One to the Premier Division in 2007. 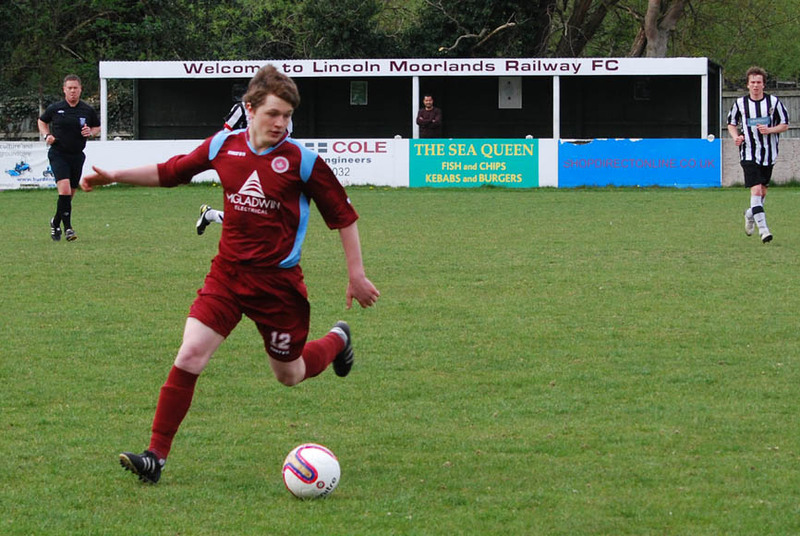 That same summer saw the club merge with Lincoln Railway FC and become Lincoln Moorlands Railway. 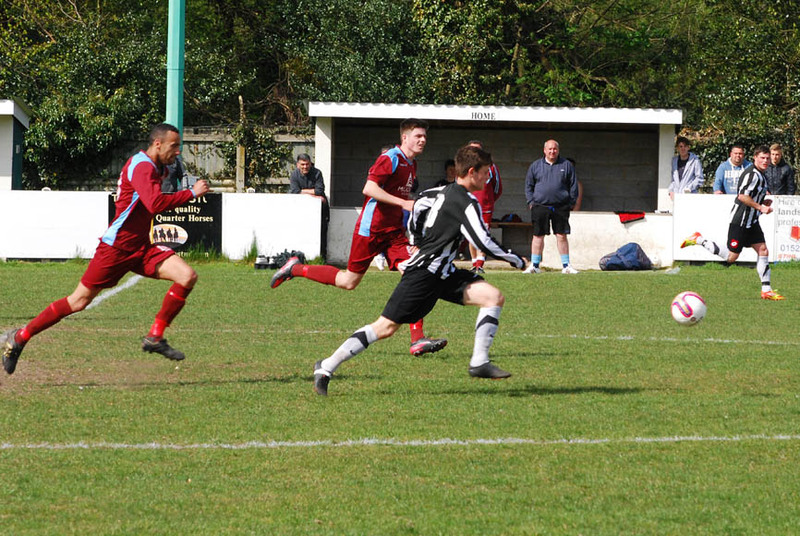 This season has seen the club in danger of dropping back down to Division One though, after a poor campaign which saw them begin this game second-from-bottom. Directions: Situated about 2.5 miles south of Lincoln City centre, the ground is walkable if you’re reasonably fit, and took me just under an hour at a fairly leisurely pace today. You might prefer to get one of the frequent buses which run close to the ground though. 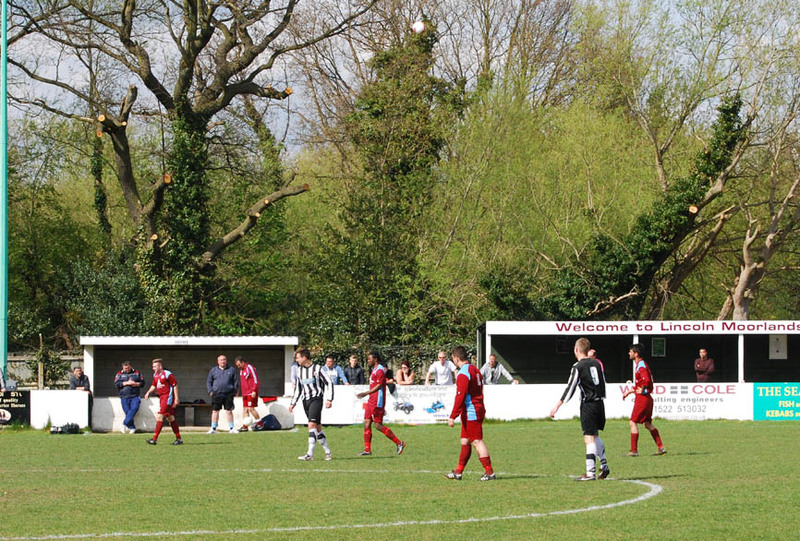 Inside, the ground has a solid wall round the pitch, and three covered structures. The most pleasing on the eye is undoubtedly the above stand, with green wooden surrounds and two rows of plastic seating within it. 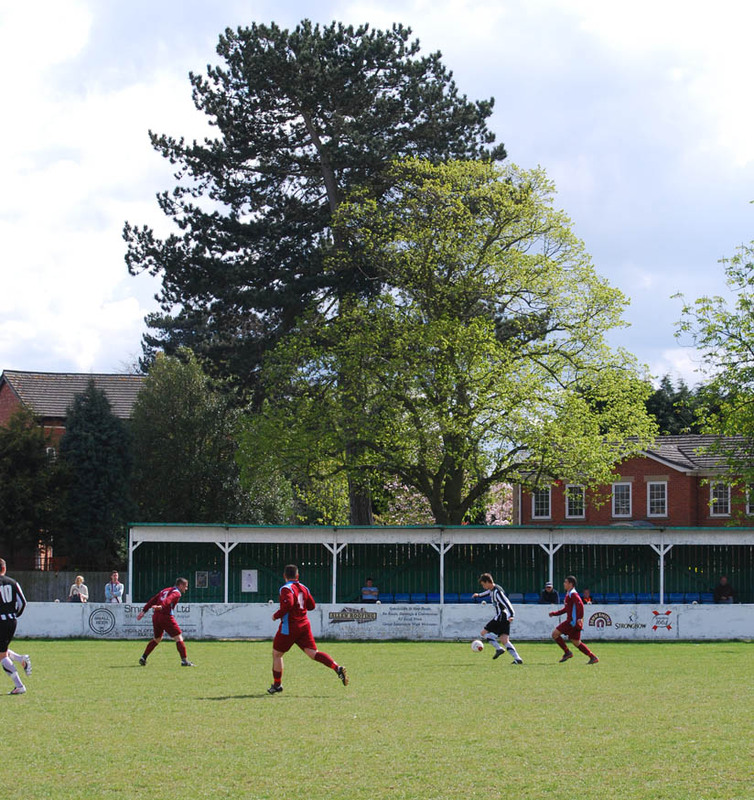 This sits close to teh halfway line at one side of the ground. 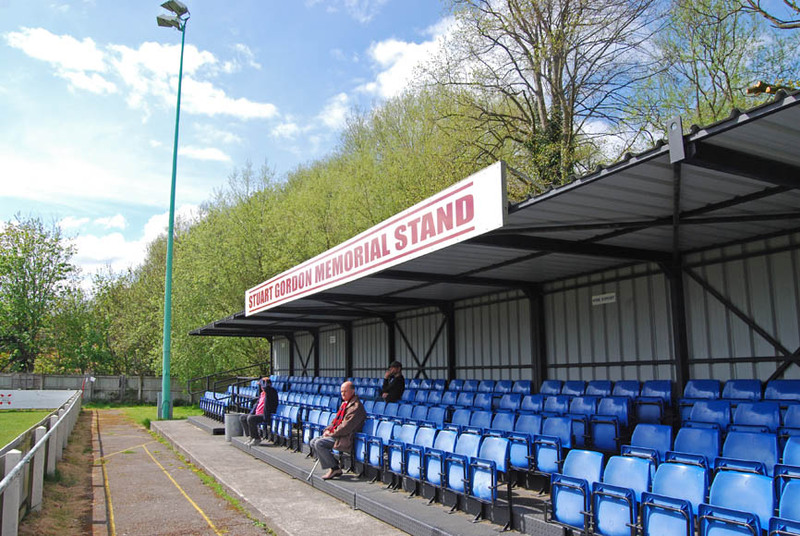 Meanwhile, opposite it are a covered terrace and a covered seated stand. These are located at either side of the dugouts, with a two-stepped terrace, and four rows of seating in them resepctively. 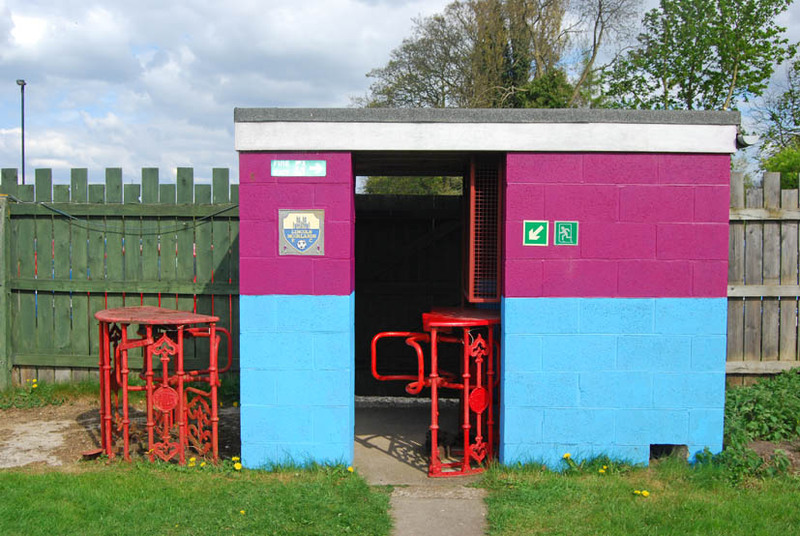 The rural setting and ground layout gives the location a nice homely feel, augmented by the presence at the entrance gate of a lovely turnstyle block painted in the club colours of claret and sky blue. 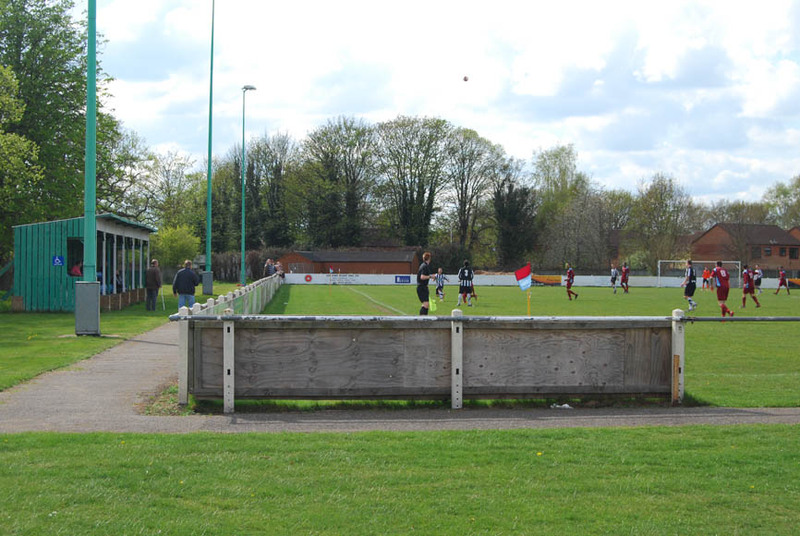 There is also a small snack bar, with a larger social club located just outside the ground. 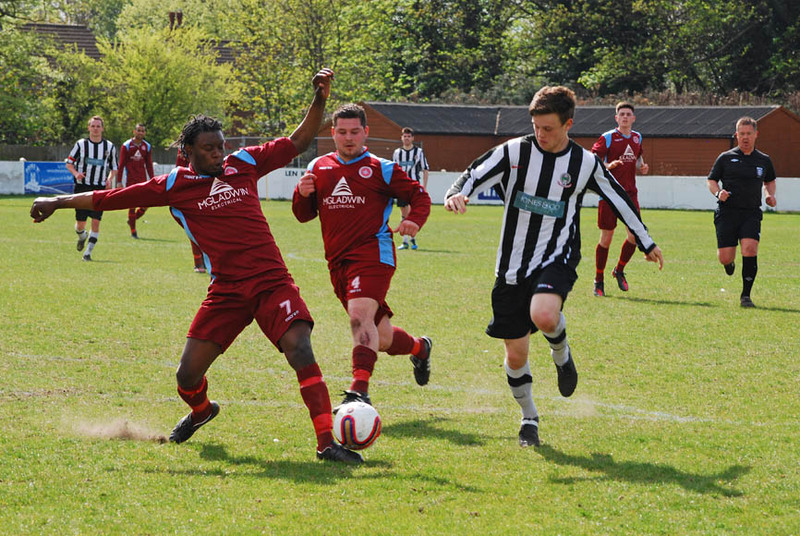 On The Pitch: Having won the league last year but been able to qualify for promotion to the NPL on financial grounds, this season Retford have had to rebuild somewhat. This was the first time I had seen them play in the 2012-13 season, and the squad is much younger now, with most being products of their youth set up. 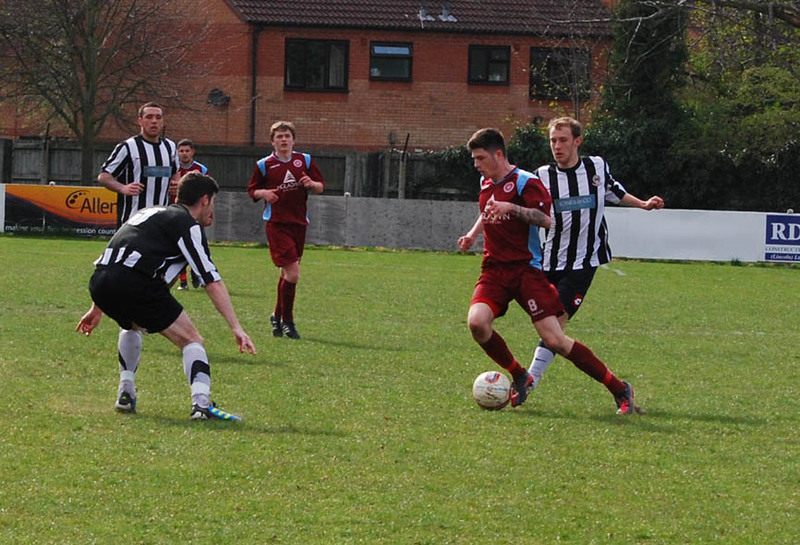 Nevertheless they had some obvious talent on display today, and were far too good for the home side. 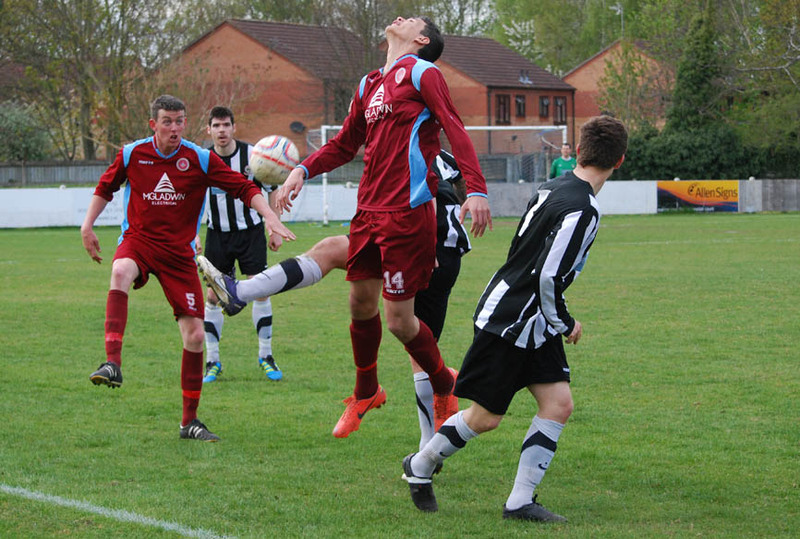 Retford were 2-0 up within 15 minutes through Richard Medcalf and Bobby Johnson – definitely no summer flipflop mode in play here! Sadly, Lincoln never really looked like scoring, meanwhile. 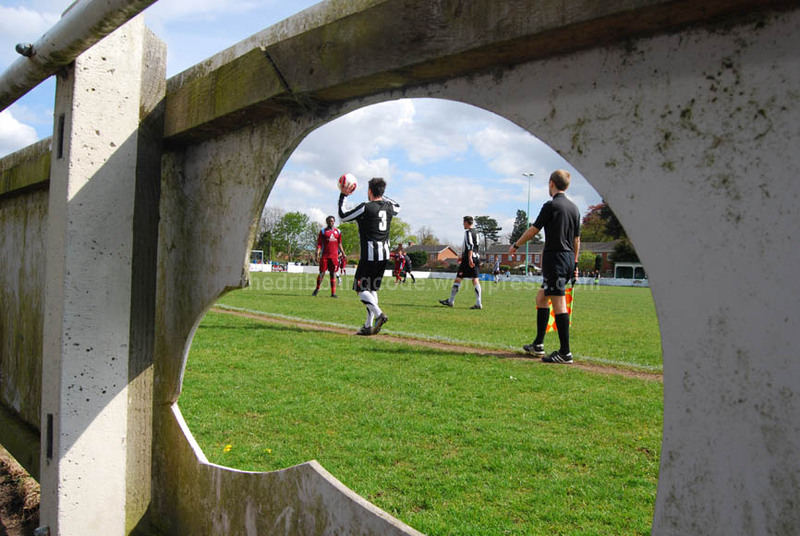 You couldn’t fault their players for effort, but there seemed to be no real gameplan or pattern to their play which was likley to yield any result, and their league campaign sadly ended today with a whimper rather than a big last-ditch effort. 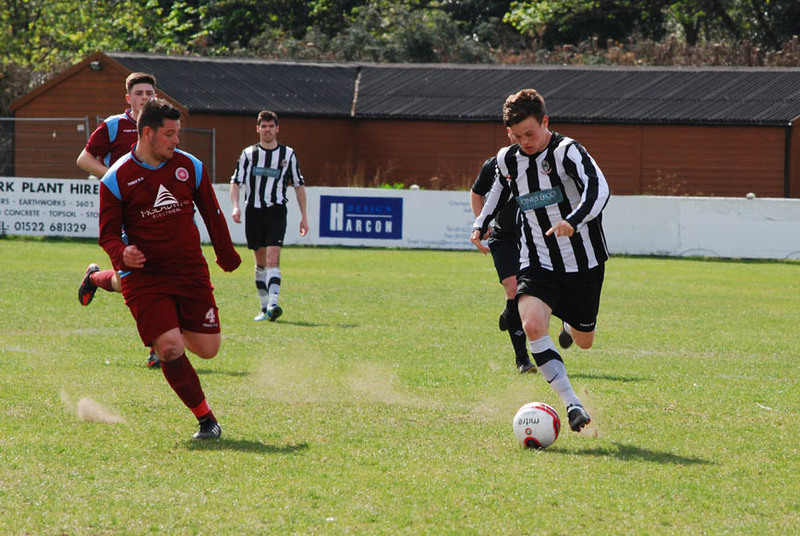 When Retford bagged a third midway through the second half through Richard Medcalf again, it was game over for Lincoln. 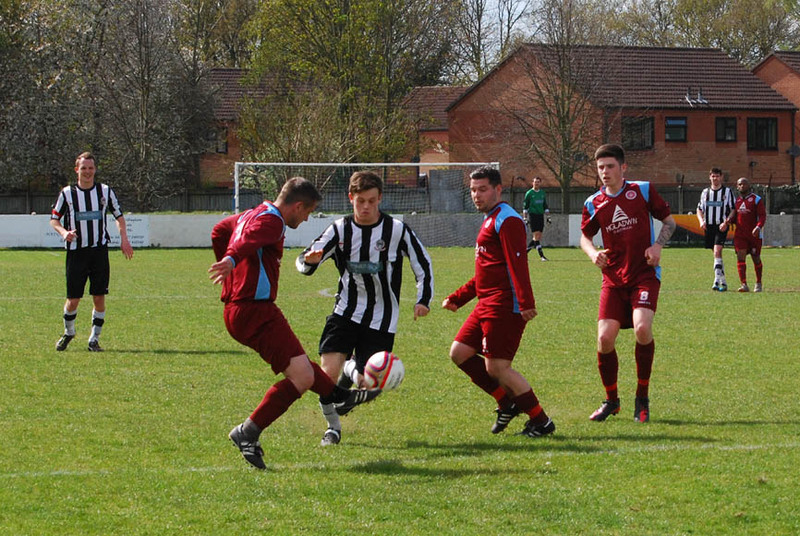 Though some margin behind the top three, Retford have finished the season in a very creditable fourth place. Given all the uncertainties surrounding the club at the beginning of the season, I think this is a tremendous achievement, and something really promising to build on for next year. 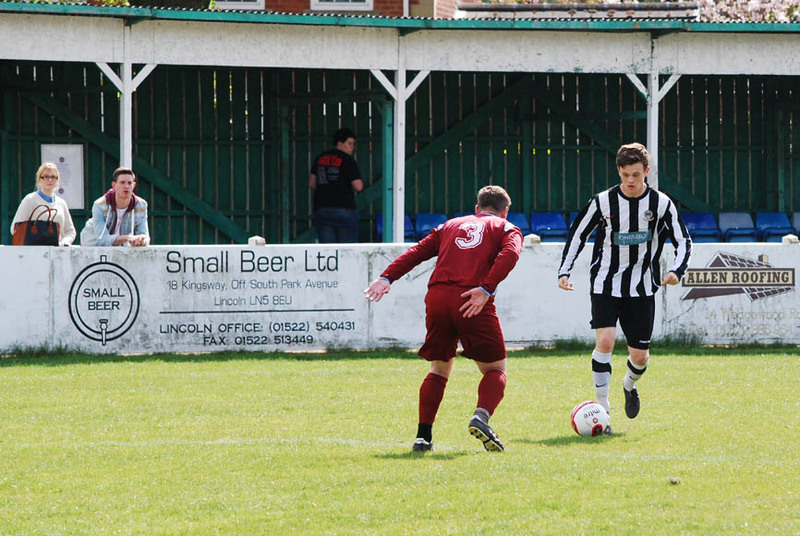 Lincoln are the ones who will spend the summer making some readjustments, and for a really friendly club with a nice set up I wish them all the best and hope it doesn’t, er, ‘derail’ them too much. 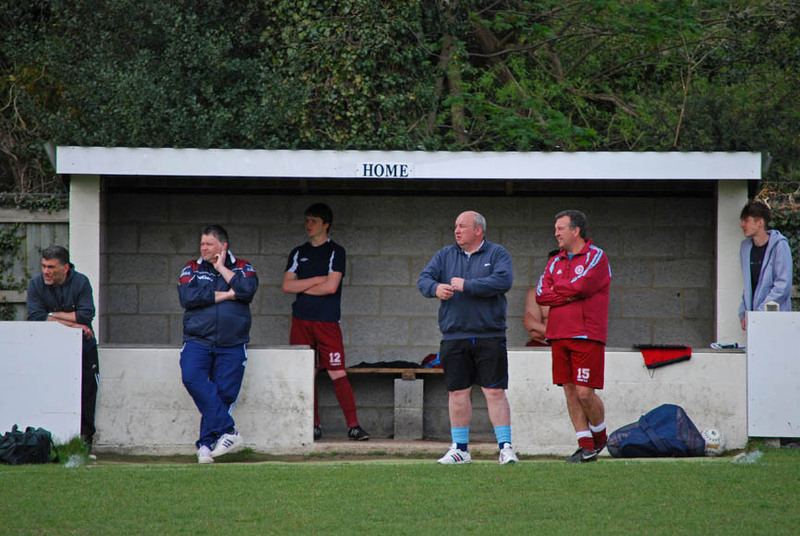 Post Script: Despite Lincoln MR fearing that today’s loss would see them relegated, it looks increasingly like only one team will go down this season, and they may well begin the 2013-14 campaign with their Premier Division status intact for another year. 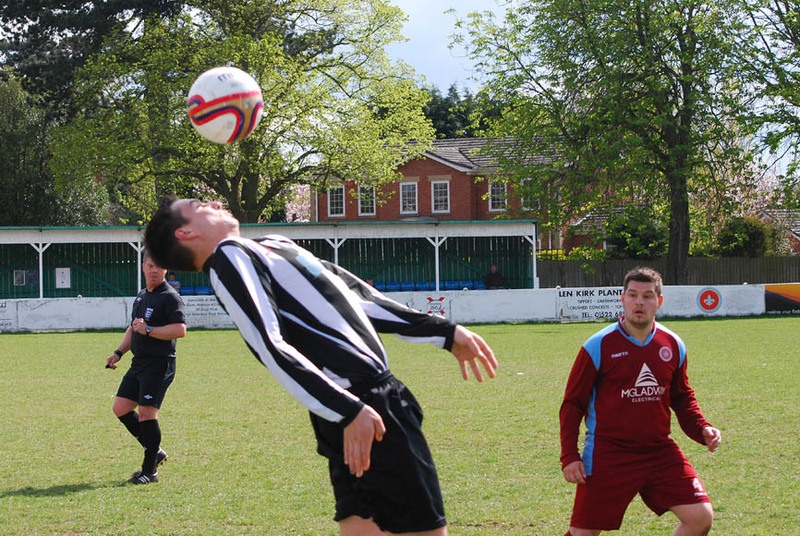 This entry was posted in A-Z by club (home team), Lincolln Moorlands Railway, Uncategorized. Bookmark the permalink.